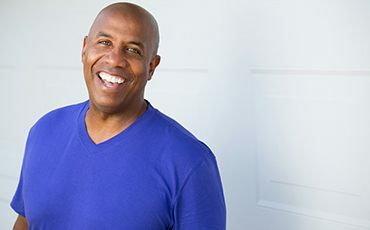 Despite our best efforts, most people will experience a dental problem at some point in their lives, whether it’s as simple as a minor cavity or as serious as a missing tooth. At Dental Center of Jacksonville, our team is here to provide the compassionate and flexible support you need most during these difficult times, offering a wide variety of restorative services, painless treatment, a comfortable, judgment-free office atmosphere, and much more. Don’t struggle with a suffering smile any longer – instead, contact our Jacksonville, FL practice today to schedule your first visit with Dr. Jignesh Patel. Walk-ins and emergency cases are welcome! When a tooth is badly decayed and can’t be corrected with a tooth-colored filling. When a tooth is injured/weakened and in need of additional support. When a tooth has been treated with root canal therapy and requires restoration. When a lost tooth replaced with a dental implant needs restoration. When a tooth is suffering from significant cosmetic imperfections. 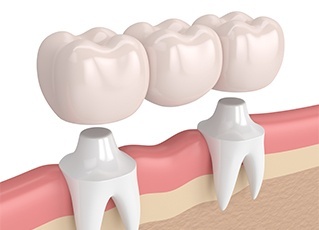 In addition to the scenarios above, multiple dental crowns can also be fused to create a bridge. Bridges are a solid tooth replacement solution for patients who are seeking something more permanent than traditional dentures. 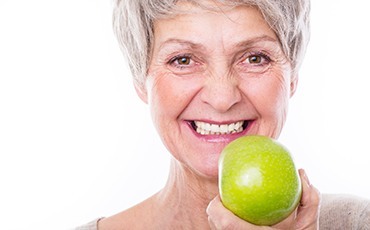 By anchoring certain crowns over adjacent healthy teeth, we can cement your new bridge securely in place, allowing for proper chewing and confident smiling once more. When a tooth has become severely infected because of unchecked decay or a traumatic injury, patients may start to lose hope that it can be saved. Thankfully, our Jacksonville doctors offer a saving grace in the form of root canal therapy. While many patients become nervous when they hear those words, our dedication to state-of-the-art tools and advanced comfort techniques helps keep your procedure safe and relaxed. We’ll carefully access the inner pulp of the affected tooth and clean away dangerous bacteria, replacing it with a biocompatible material before sealing the structure once more. A customized restoration on top will be the finishing touch, restoring the tooth’s shape and function while allowing it to remain natural! Many patients struggling with severe tooth loss shy away from the thought of wearing dentures because they assume they’ll look unnatural. Thankfully, that’s not the case at all here at Dental Center of Jacksonville. We ensure that your new prosthetic is crafted from high-quality materials and precisely personalized to be a great, stable fit for your unique mouth. Both full and partial dentures are available, depending on your personal needs. The traditional models are removable, which means you can clean them separately and store them nearby during sleep for added convenience. Our doctors also offer implant-retained alternatives, which provide more stability and permanence to your smile. We want your restorative experience with us to be as enjoyable and fulfilling as possible! Your third molars (also commonly known as “wisdom teeth”) are the last adult teeth to emerge into your smile, usually arriving at some point during a patient’s late teenage/early adult years. Unfortunately, most people simply don’t have enough room in their mouth to accommodate them, which can lead to impaction (a failure to erupt fully), pain, higher risks of infection, and other unpleasant consequences. In order to combat the potential ill effects of wisdom teeth, our doctors will be sure to keep an eye on their development as children grow with the help of digital imaging. If we determine that complications are likely, we may recommend extraction as a preventive measure to protect your overall wellbeing. Comfortable anesthetic delivery and sedation dentistry are available to help make this process as smooth and pain-free as possible here in Jacksonville. 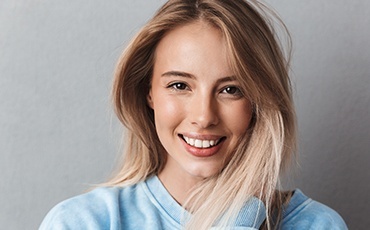 Cavities are one of the most common dental problems patients of all ages face, and our team can treat them quickly and seamlessly with tooth-colored fillings. Instead of relying on traditional, dark-colored amalgam, we enjoy being able to improve your oral health while helping you maintain the aesthetically pleasing appearance you deserve! Better yet, the high-quality composite resin material we use is more conservative and more comfortable than its older counterpart for more satisfying results.